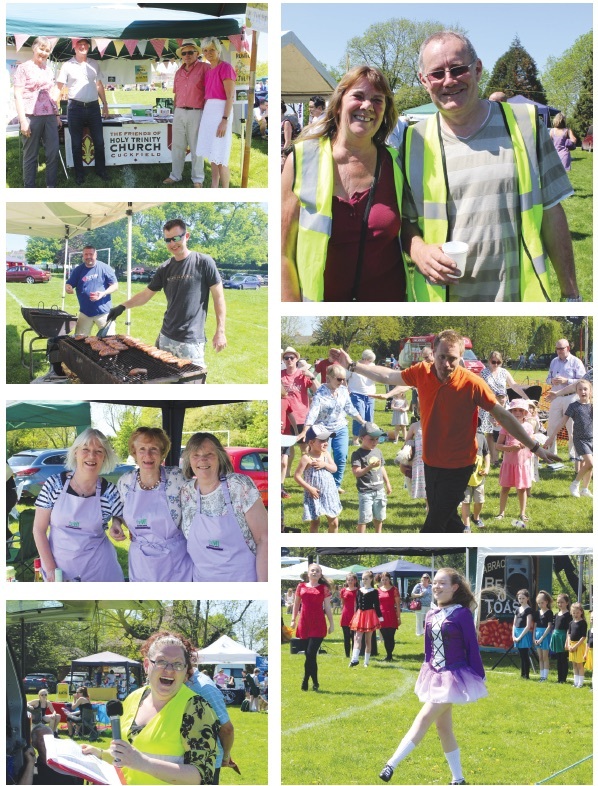 The first Bank Holiday Monday of May is always Cuckoo Fayre in Cuckfield – but it’s not always the beautiful scorcher that was enjoyed earlier this month! 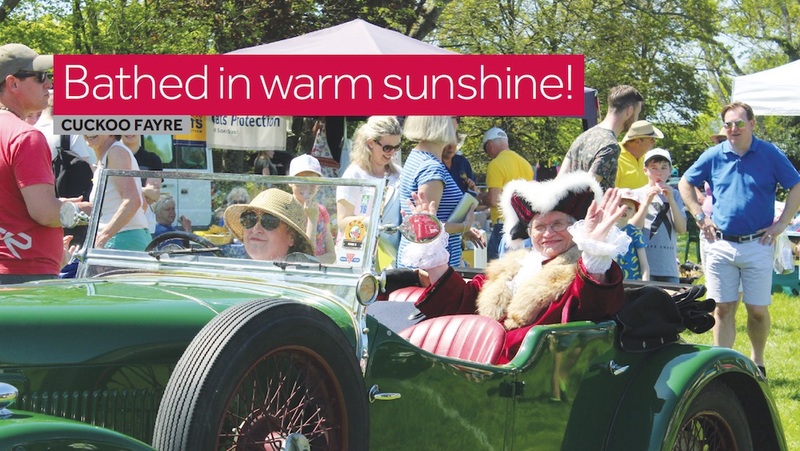 Mayor Evelyn Stenning glided down to the event on the recreation ground in a stunning classic car – the mayor always arrives in style! After a tour round the green, Evelyn wasted no time in declaring the Fayre open. With around 40 stalls at this year’s event there was plenty for residents and visitors to do. For kids there was hook-a-duck, the steam railway, a bouncy castle and radio-controlled cars to name but a few! For everyone else, a fine array of stallholders with goods to browse and buy, raffles, information stands and the well-stocked bar run by 2018 mayor hopeful Leanne Knapman.